Our rankings of the nine movies battling it our for a Best Picture statuette this Sunday. 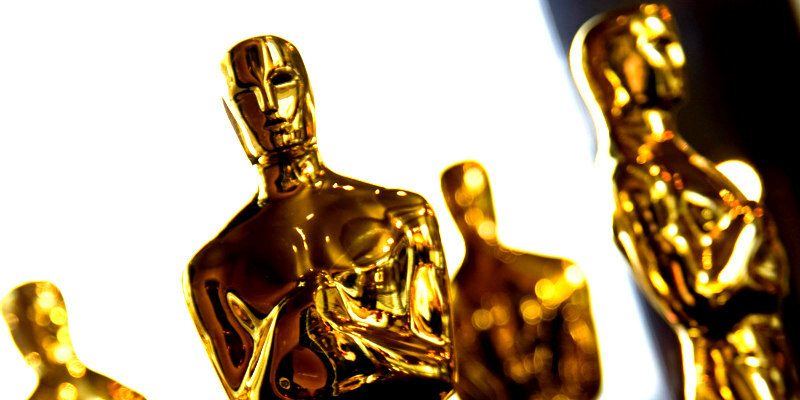 This Sunday, March 3rd, nine movies will battle it out for a Best Picture Oscar at the Academy Awards. We said: "McDonagh's film boasts one of the year's most intriguing premises, taking the anti-authoritarian concept of Bob Clark's 1985 social drama Turk 182 and giving it a rural twist that allows for an examination of America's increasingly heated culture wars in the process. McDonagh fluffs the execution however, delivering a movie that constantly wrestles with itself, featuring characters and situations that feel like they belong in separate movies." We said: "If The Shape of Water is a success as an anti-nostalgic social drama, it's a failure as a monster movie, and the least interesting material here is that featuring the creature. Del Toro doesn't invest enough running time in the establishment of the connection between Elisa and her amphibian amour fou, which means the sexual escalation of their relationship is unintentionally amusing rather than affecting, and an unearned black and white musical fantasy sequence really doesn't play with the level of charm intended." We said: "Around its mid-point, Get Out morphs into a full-on horror movie, and it's here that the film falls flat to a large degree. Jordan Peele relies too heavily on genre cliches - ironic use of music; a portentous car accident involving an animal; the protagonist making an implausibly dumb decision in order to set up the climax - and the big reveal is offered in the laziest fashion, with the hero strapped to a chair and forced to watch a video that conveniently explains the plot." We said: "There have been far more satisfying teen dramas in the past couple of years (though sadly none have received the attention of Greta Gerwig's debut), but this is a genre that rarely disappoints, and Lady Bird holds our attention thanks to an array of outstanding performances, chiefly from Saoirse Ronan, Laurie Metcalf and Tracy Letts as the central family, Timothee Chalamet as a hilariously vacant lothario, and Lois Smith as a loveable elderly nun. Ronan will make better movies in her career, but she may look back on her time working on Lady Bird as the best days of her life." We said: "If you wish to learn the exact contents of the Pentagon Papers, look elsewhere. Steven Spielberg's drama isn't interested in analysing or critiquing the actions taken by a succession of Democrat and Republican administrations. The Post isn't a political thriller so much as an old-fashioned newspaper movie, which is just as well as it's far more successful as the latter than the former." We said: "Roughly five minutes into his performance as Winston Churchill in Joe Wright's wartime biopic, Darkest Hour, I forgot I was watching Gary Oldman. It was only about a half hour later - when a photographer's flash captured the portly PM in a monochrome freeze frame, and Oldman's two-fingered salute and defiant expression gave the impression that Wright had subliminally edited a frame of the actor's turn as Sid Vicious in Alex Cox's Sid & Nancy into his film - that I was briefly reminded I was watching an iconic actor, rather than an iconic figure. Awards season hype should always be mistrusted, but Oldman really is doing something special here, embedding himself into a subconscious history most of us never lived." We said: "Dunkirk is a resolutely old-fashioned epic, unconcerned with the dos and don'ts of contemporary Hollywood storytelling. Nolan's quartet of central characters don't provide distinct subplots so much as distinct perspectives. The director isn't concerned with telling a story, preferring to create an experience, using the cinematic tools available to give us a sense of how it might have felt to have been one of the 400,000 men caught up in the scenario." We said: "Call Me by Your Name captures the thrills and uncertainty of that first romance, that special summer where you discover all the things that will later bring you despair and heartbreak, but enough joy to make it all worthwhile." We said: "Phantom Thread is as immersive as cinema gets. From its opening sequence, which takes us inside the House of Woodcock, a London fashion house run in quietly tyrannical fashion by renowned dressmaker Reynolds Woodcock (Daniel Day Lewis), Anderson's film dismisses any thoughts we might have of our own world of 2018. As we witness Reynolds go about his daily grooming routine it becomes clear we're watching a movie about a perfectionist, one made by a perfectionist, and starring a perfectionist in what is reputedly his final acting role."